To change your profile picture, go to your settings. 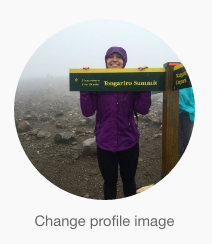 Click "Change profile image" and upload your new user icon. Then, click "Save Changes" at the bottom of the page.